So I have yet to find an actual organizer for Sweet Baby’s bath toys that hasn’t fallen all over and scattered her toys around in the tub. 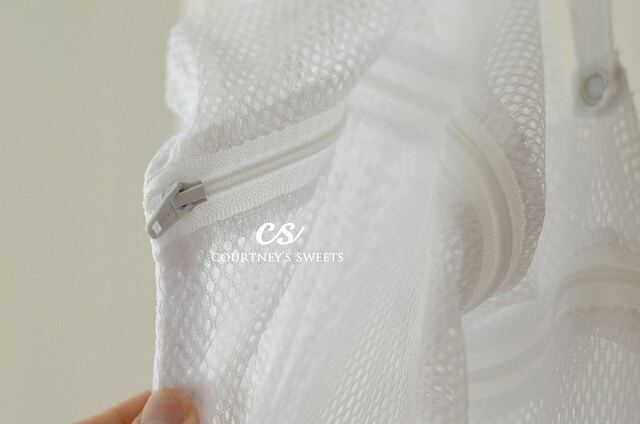 That was until I realized I could just use our mesh laundry bag. Not only does it keep her toys dry, but I can just toss it in with the wash every few days to make sure it’s fresh and clean. 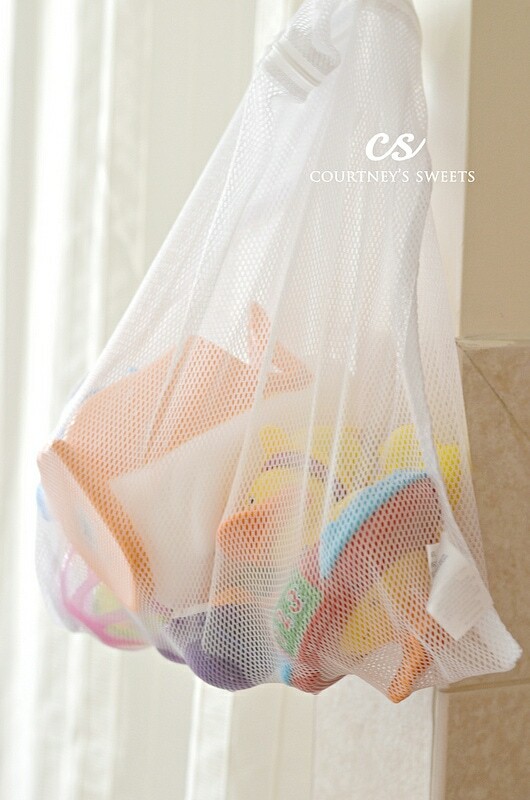 The mesh laundry bag cost me less than $5 where as the toy organizers were well over triple that price. It has two loops and snaps and instead of hanging it double and folding because of it – I simply snapped the opposite sides and made a double loop. I also love that it’s zipped closed.. so if it did happen to fall the toys stay in the bag. Before putting into the bag dump all the water off baby’s toys, and hang over a bathroom mat towel – I find they absorb the most. 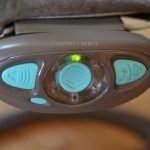 This has been working amazingly well for us.. no more dropped toys! Great idea! I will be using this once the baby comes. I used to have one of those when my daughter was little, it really helps keep the bathroom organized! Genius! I find there is often a use for other items where the cost is much less than buying something that’s “made specifically” for a purpose. What a great idea!! I definitely have many bath toys I could fit it there. That is such a great idea. The mesh bag is a great idea. I had something similar when my boys still played with bath toys, now they just soak in the bubbles. Our bath toys are out of hand. that’s a great idea. I never thought of it and now I’m mad I didn’t, lol. Who would have thought a great solution could be so simple and not cost a fortune. Great job! 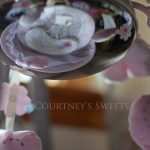 These are definitely a must have when you have little ones. 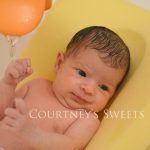 Wonderful photos, and great idea for our kids bath stuff! such a great and handy idea. thanks for sharing. I love that it hangs so everything gets dry! That is a perfect idea!! So SMART! The bath toys are all just scattered all over our bathroom. I love this idea. Looks like it holds a lot! I need one of those for my son’s bath toys. I have something similar and love it way better than those bulky organizers! 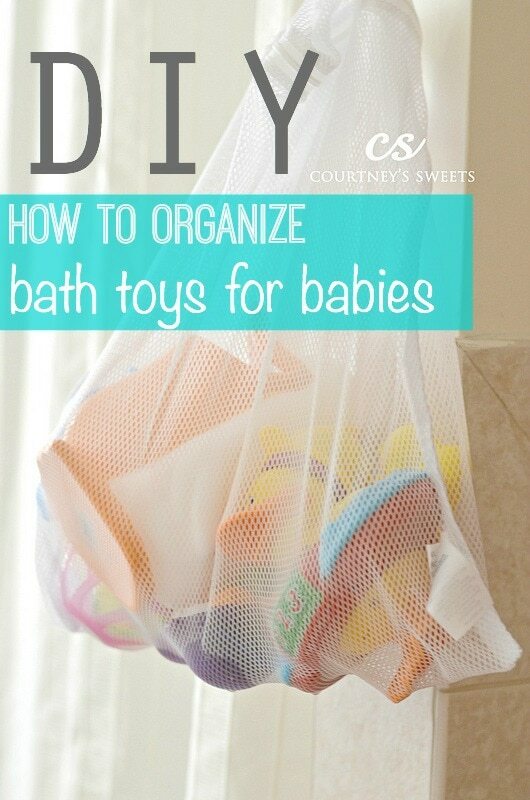 So simple, yet what an affordable way to organize her bath toys. Great way to organize all the toys! That is smart! We just have a basket that stretches across the tub! I need this. We just put our girls’ bath toys in a plastic basket with holes, but the soap scum still just builds up in it. It’s pretty gross. Mine were such a jumble under the sink. I LOVE this idea! You are so smart! I used a dish pan thingy that always smelled. I love this idea! Where did you get the bag from? Simple idea. 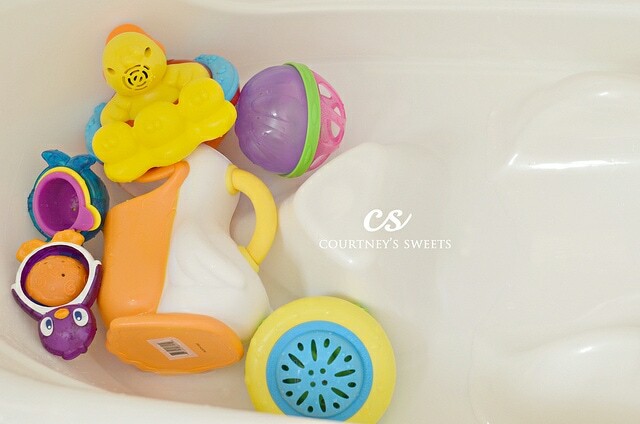 Really clever thought to store bath toy organized. I like it. To make bath time more enjoyable bath toys are really essential.